To coincide with Qatar National Day, Aspire Zone Foundation today launches its first smartphone application, which represents the highpoint of a successful year in delivering the Foundation’s mission through social networking services and digital technologies. Commenting on the news, Mr. Niyas Abdulrahiman, Chief Technology Advisor at Aspire Zone Foundation, said: “We are excited to launch the “Life in Aspire” mobile app which provides information and a range of interactive services related to events happening in Aspire Zone. This product has been specially designed and tailored to the needs and requirements of our visitors, based on feedback we have gathered about their expectations. We are also excited about the potential of further upcoming releases and updates to the app. These developments perfectly showcase how our organisation is innovating to meet the needs of our audiences through technology and creative design. Through all such technology-led initiatives, our overall goal is to build a vibrant and connected online community accessible to our visitors and designed to inspire them to participate in sporting activity and adopt an active, healthy lifestyle”. Aspire Zone Foundation’s e-marketing and information technology teams developed the Android and iOS compatible application completely in-house. The application’s various features support users in improving their health and fitness through accessing the various programmes and events organised by the Foundation and available to the public year-round. 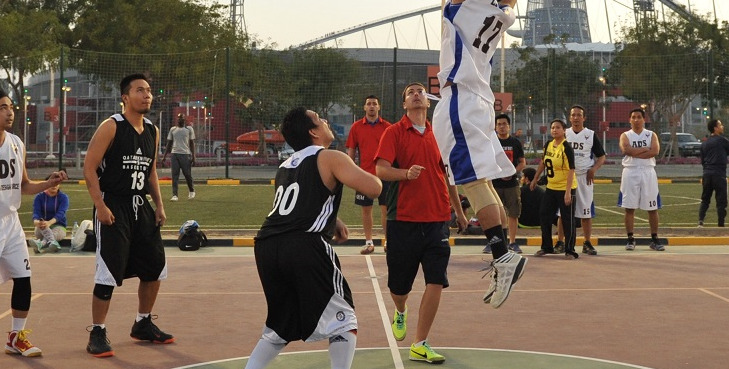 The application also features information about the range of different sports or entertainment services offered by the Aspire Zone Foundation’s member organisations, including Aspire Academy, Aspetar and Aspire Logistics, in addition to entertainment and events on offer at the Torch hotel. 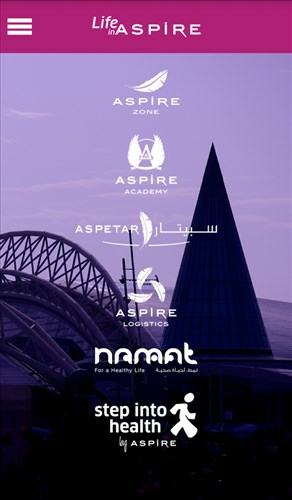 Subsequent updates to the application are expected to include additional features such as maps of Aspire Zone’s various facilities, information regarding the different pathways around Aspire Zone for walking and cycling, as well as offering users the chance to provide feedback that will enable the Foundation to further support them in achieving healthy and active lifestyles. The “Life in Aspire” application is the latest in a number of innovations and developments this year from Aspire Zone Foundation in terms of its digital and social networking services. Among these is the recent launch of the Foundation’s Snapchat account which offers followers a live feed of the many different activities taking place at Aspire Zone and which has built up a large following in just a short period of time. To date, the Foundation has built up approximately 750,000 followers across its various social media accounts. Coinciding with Qatar National Day, this latest innovation marks the highpoint of Aspire Zone Foundation’s online and social communication achievements in 2015.